1、If you're tired of finding pet hair on your furniture, in your car, or on your clothes, then you're in the right place. This grooming tool works by removing up to 90% of unwanted fur and undercoat. No More Loose Hair! 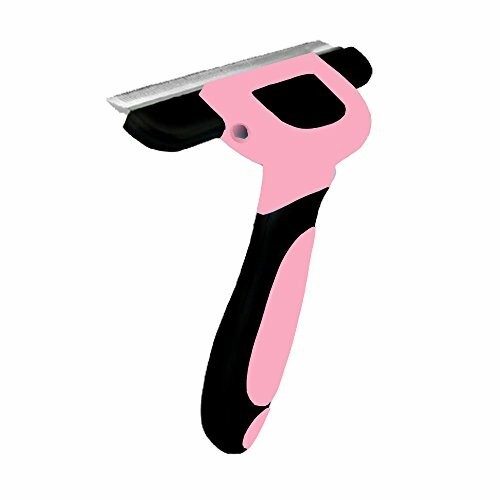 2、This grooming tool is specially designed for large, medium and small pets. The Ergonomical and light weight design makes this grooming tool be the perfect choice for Pet Deshedding and Grooming. 3、Just give your dog or cat a good, 15 minute brushing session to remove matting, knots, and the dead, loose, undercoat without hurting or damaging the top coat. Actually, it makes the top coat shiny! 4、Works better than top rated pet brushes that cost Twice as much! 5、Your search for the perfect deshedding tool is finally over. No more constantly vacuuming your floor, or continually removing hair from your furniture, clothes and car. If you have any questions about this product by Flatworld, contact us by completing and submitting the form below. If you are looking for a specif part number, please include it with your message.